HUNTINGTON, W.Va. – Through its newly created CHHRx program, Marshall Pharmacy, in collaboration with Cabell Huntington Hospital, is offering discounted prescription pricing for patients with low incomes. require specialty drugs with large copays. “Medication adherence is critical to patients’ health, particularly those with chronic conditions. This program was created to help remove financial barriers that may be preventing patients from taking their medication as directed,” said Jeffrey A. Fenerty, R.Ph., director of pharmacy services at Marshall Health. To qualify for the program, an individual must be an established patient at either Marshall Health or Cabell Huntington Hospital. 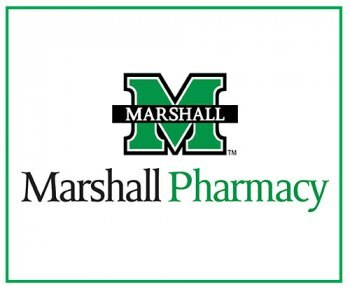 Patients must apply in person at the Marshall Pharmacy located inside the Marshall University Medical Center, 1600 Medical Center Drive, Huntington. Patient discounts are effective immediately upon program approval; however, proof of income must be provided to receive validation status for one year. If proof of income is not provided within seven days, the discount card will expire. Through the program, approved patients pay the discounted cost of the prescription plus a $10 dispensing fee. Pricing varies based on the type of medication. All of a cardholder’s household members who are established patients can also receive discounts through the program. The card may be used at either the Marshall Pharmacy at the Marshall University Medical Center or the Erma Ora Byrd Clinical Center, 1249 15th Street, Huntington. For more information about the program or to schedule an appointment with a financial counselor, call 304-691-6872 or stop by the Marshall Pharmacy at the Marshall University Medical Center.